It's not a bad thing to have so many awards that you run out of wall space. That's the minor predicament KPLU-FM has faced, according to Mike Marcotte, who recently left the Tacoma, Wash., station to head the news department at KPBS-FM, San Diego. There are 35 of them in 1995, including a Society of Professional Journalists (SPJ) award for Overall News Excellence, for the second year running. The news/jazz station also has a strong record of placing stories on the NPR newsmagazines or other national shows : 187 in 1995. This brand of success is no accident. KPLU's feistiness as a small news operation is a testimony to the drive of Marcotte, says Tripp Sommer, who heads the Public Radio News Directors Association. During his eight-year tenure, Marcotte nurtured the department from an operation with three full-timers to one with eight reporters organized around a beat system. Marcotte says: "It was quite deliberate on my part when I first got there to build a news department with a high degree of credibility. And one of the ways we could flag the quality of our work would be to enter into competition with other journalists and prove how good we are." 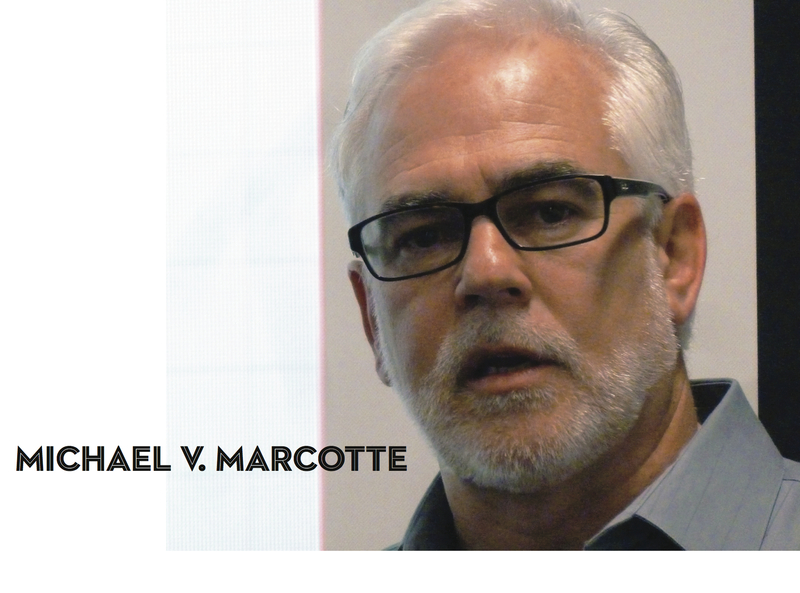 Another of Marcotte's goals was to be "audible" on the network. "A lot of benefits are derived from that, one of them being an increased perception of credibility. Also, reporters think in a more global context, about how to frame stories, about techniques for writing, and their use of sound." KPLU is not shy about promoting itself. Full-page ads that run in the area's alternative paper, the Seattle Weekly, announce the winning of a grant and four-to-one matching community support that will fund a full-time environmental reporter for four years. Another ad boasts, "This year National Public Radio aired 187 news reports from KPLU news staff. Get your news where NPR does." The aggressive positioning is in part a result of vigorous competition with nearby KUOW, which has the Seattle-Tacoma market's news and information format, and also places stories regularly on the network--including a business spot every Friday. KUOW recently won a Gold Award from CPB for the now-defunct daily half-hour newsmagazine Northwest Journal, coproduced with the Northwest Public Affairs Network, was named best talk station by Seattle Weekly readers, and also won SPJ awards in 1995, says Program Director Ross Reynolds. Marcotte believes KPLU carved out a more solid niche in regional reporting, while KUOW was more Seattle-focused. Reynolds, however, emphasizes his station's focus on international news, which is of great interest to a city where so many jobs are tied to international trade. Reynolds is wry about KPLU's Weekly ads pertaining to the 187 NPR placements: "It's an interesting campaign because all those stories are also aired on KUOW," he says. "So they're bragging ... but they're also on KUOW." The competition with KUOW certainly "provided a real daily motivation" for KPLU's reporters, says Marcotte. "Not in any kind of bloodthirsty way, but in a good, useful way. We'd say, let's see who can get that story on the network first. What did they do? How did we do it? We knew listeners, a lot of them, would be listening to both stations." Marcotte says he worked hard at KPLU to create a milieu in which reporters were afforded the opportunity to gain considerable experience and expertise in areas of interest, and feel they were valued. The beat system allows reporters to be proactive in finding stories and spotting trends "before they get the press release in the mail," he says. "With experience and a contact base, it's amazing what a reporter can do," he says. The system also is more conducive to development of in-depth work, says Paula Wissel KPLU's assistant news director. One reporter this year, for example, did a 10-part series on regional transit, sparked by a live debate about whether the region should spend $6 billion to improve its mass transit system. The department's collegiality makes such investigations possible, she says. "He was able to do that because others pitched in." Sommer says he has noticed good vibes at KPLU. "Over the years, I've gotten to know a fair number of the reporters. They seem to have high professional standards, work hard, and they seem pretty happy. When you get all those things combined together, something's really working." For whatever it's worth, Marcotte and General Manager Martin Neeb both express a great deal of appreciation for staff. Marcotte calls reporters the "heroes" of the public radio system, "our people in the trenches, on the front lines making contacts with people.... underpaid, overworked and highly committed." And Neeb, asked to what he credits the news department's success, immediately mentions Marcotte, Program Director Roger Johnson and the news team. Between KUOW and KPLU, observers say that public radio fans in the Seattle market have it good. But there is heightened concern in the system these days about redundancy in programming, and some question the wisdom of two stations in one market airing Morning Edition and All Things Considered at the same time. The two stations are "engaged in talks" about future collaboration, Neeb says. "We are pursuing it from the perspective of increased service to the public in Puget Sound," he says. "We think we can be more efficient and grow audience for public radio." Neeb says the two stations are in early discussion stages, but that one possiblity would be some sort of arrangement allowing a "single entity" to offer two services, one music and the other news and information. In the meantime, KPLU is committed to both its jazz and news programming, he says; next agenda item is to add full-time arts and business reporters. KPLU's also looking to replace Marcotte. "Replacing Mike Marcotte is going to be a very challenging effort," says Neeb. "Really fine journalists who can lead a team are few and far between."